NEO philanthropy prioritizes investing in the communications capacity of its grantees and partner organizations. 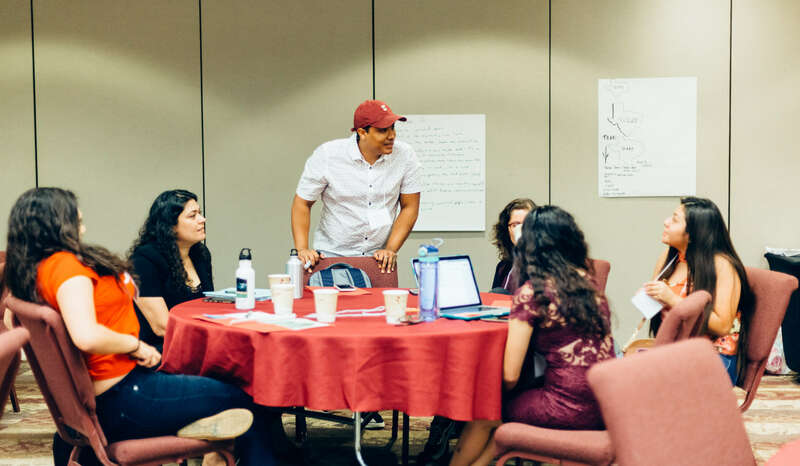 Last month the Four Freedoms Fund, a collaborative fund of NEO Philanthropy, convened grantees and allies at the first Texas Immigration Communications Convening – a 4-day immersive training held outside Houston to build communications skills and knowledge. The SPIN Academy and ReFrame Mentorship program produced the event. Some 50 advocates, grantees, communications specialists and mentors from across the state and region participated in the comms “boot camp.” Attendees learned basic and more advanced strategic communications skills, including framing and messaging, crisis communications, spokesperson training, online campaigning and much more. Communications labs focused on topics such as visual design and narrative, earned media campaigns and integrating communications into organizing and coalition building work. 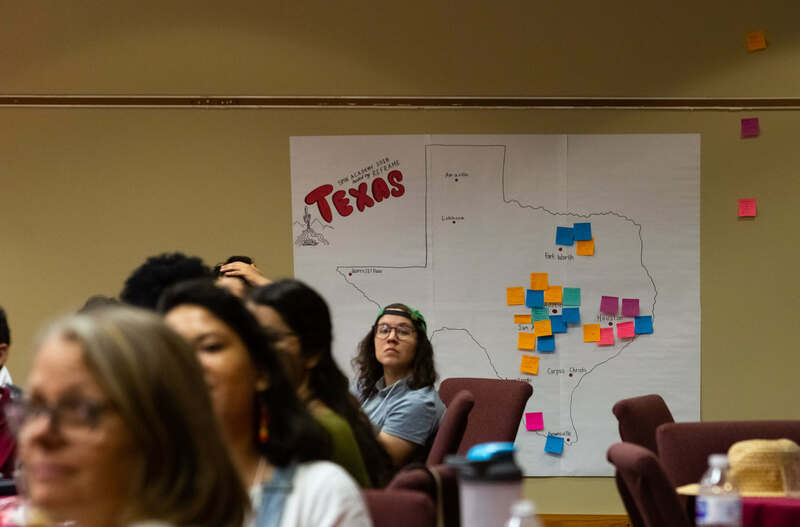 Most importantly, advocates from around the vast state of Texas, many who work in geographic isolation, had the opportunity to connect, forge personal relationships and engage in more coordinated communications work. For many immigrant rights advocates attending the convening, the boundaries between the classroom and real life blurred dramatically. Smack in the middle of the training, the Trump Administration’s deadline arrived for reuniting some 2,500 immigrant families torn apart by the government’s “zero tolerance” border policy. Advocates and grantees working for Texas organizations fighting to reunite the families, such as La Union del Pueblo Entero, Grassroots Leadership and the Texas Civil Rights Project, were busy using classroom lab time to hone press statements and blast tweets to shape the narrative around the humanitarian crisis unfolding on the border just a couple hundred miles away. This year’s training could not have come at a more critical time. Besides the family reunification crisis on the border, Texas has become what many locals call “ground zero” of immigration and refugee rights battles. The state passed the notorious SB4 anti-immigrant measure last year that many fear will result in widespread racial profiling and overturn sanctuary city protections. Described as a “show me your papers” law, SB4 is comparable to Arizona’s SB1070 and Alabama’s HB56, two famously anti-immigrant and discriminatory laws that were for the most part struck down by federal courts. According to TX advocates, SB4, now on the books, will legalize racial profiling, discriminate against people of color, create a mass deportation pipeline and make communities less safe. If that were not bad enough for Texas, the state’s Attorney General Ken Paxton is leading national attempts to undermine DACA (Deferred Action for Childhood Arrivals) protections for Dreamers and other youth. Furthermore, the Dallas-Ft. Worth area claims to have one of the highest detention and deportation rates in the nation; Texas has perhaps the largest number of beds at “for profit” prison detention facilities; and border militarization continues to divide communities and imperil the safety of immigrant families. One organization attending the training, the Waco Immigrants Alliance (WIA), workshopped a bold action around inhumane detention of undocumented immigrants. Estella Fajardo, mother of a three-year-old son and local business woman in the community for more than 30 years, was arrested in Waco, site of the notorious Jack Harwell Detention Center. Detained and on an “ICE hold” for more than two years, Estella has suffered sexual assault and intimidation while in detention. WIA brainstormed with other organizations and communications specialists at the convening and created a media action plan. The goal was to intensify public awareness of Estella’s case and pressure the local sheriff to take action on her behalf. WIA staged visibility actions and scored considerable local media attention, drawing new scrutiny to the case and protests against the injustice suffered by Estella and others like her. 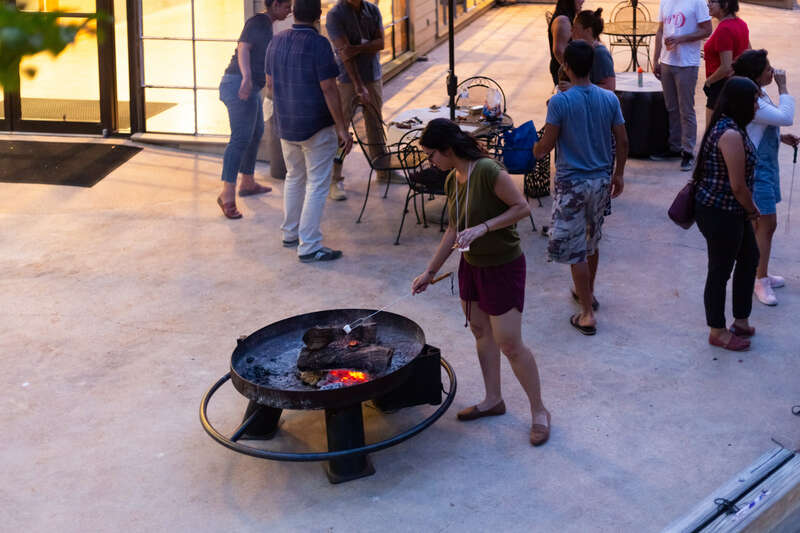 As these photos from the training show, activists found time to strategize, share ideas, engage in peer learning, commune with restorative nature in southern Texas’ Piney Woods, site of the convening, and even take time to make s’mores.